Chicken Soup delivers the perfect pocket-sized support group for everyone on the path to becoming whole. 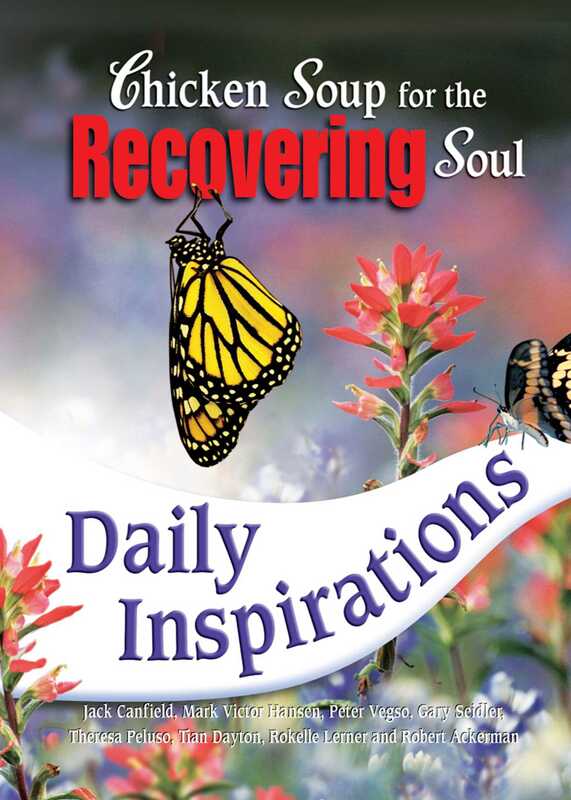 Chicken Soup for the Recovering Soul Daily Inspirations is the perfect book for the millions of people in recovery who live their lives “one day at a time.” These 365 daily passages will provide them with a year’s worth of wisdom and encouragement to help get through the rough spots or celebrate victories. The book covers universal themes, making it relevant to all types of recovery including chronic illness, behavioral disorders, destructive relationships, alcohol and drug addiction, depression, or eating disorders. Sample Daily Inspirational themes include: hope, courage, love, anger, forgiving, and more.